Setting up a Joomla multilingual site can be a daunting task, but its piece of cake with our free JA Multilingual Component. We guarantee no coding or frustration involved. The component translates your whole joomla site into multilingual site on the fly and you can choose between the two most popular translation services i.e. Bing or google. We at JoomlArt use JA Multilingual component to create Right to left language layouts for the demo sites. It takes just 5 easy steps, try it to believe it. 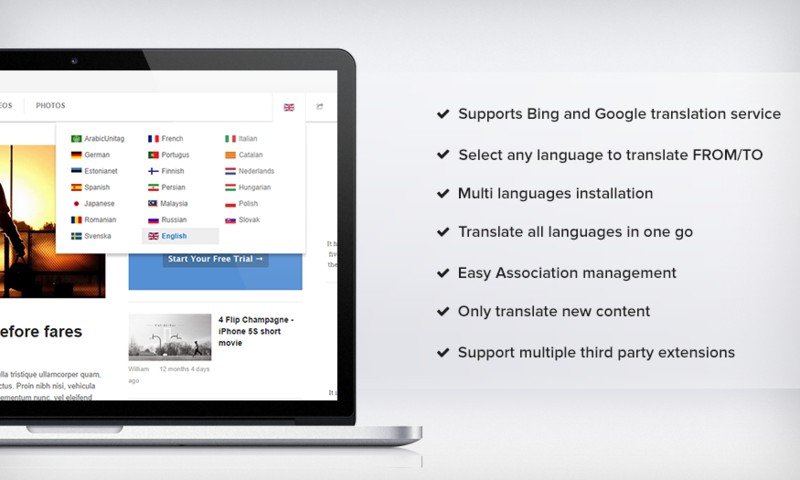 And if you want to make your Joomla site multilingual, give JA Multilingual a try, and you won't be regret. Why don't you go check our RTL language demo, these were built with the help of JA Multilingual component.